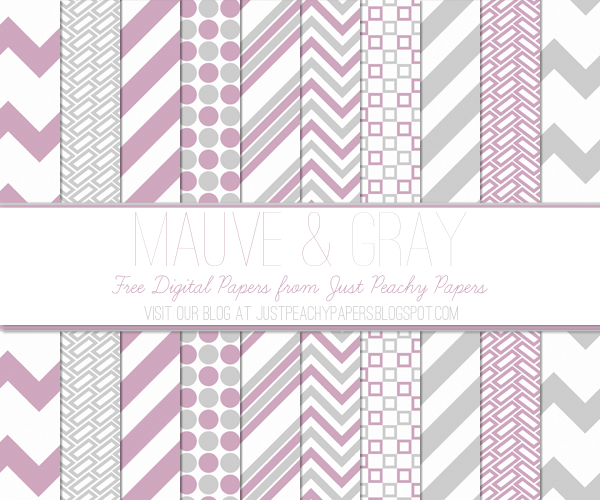 I wasn't sure whether to call this set of free digital papers "Rose & Gray" or "Mauve & Gray." I guess it is some version of either color, or maybe a mix of the two - "Mauve-rose" or "Rosy mauve", or maybe "rauve" or "mose." I'll keep it simple and call it mauve, but you are free to call it whatever you like! Anyway, it's a pretty color that goes well with gray, and this digital paper set features the combo in simple but modern patterns.